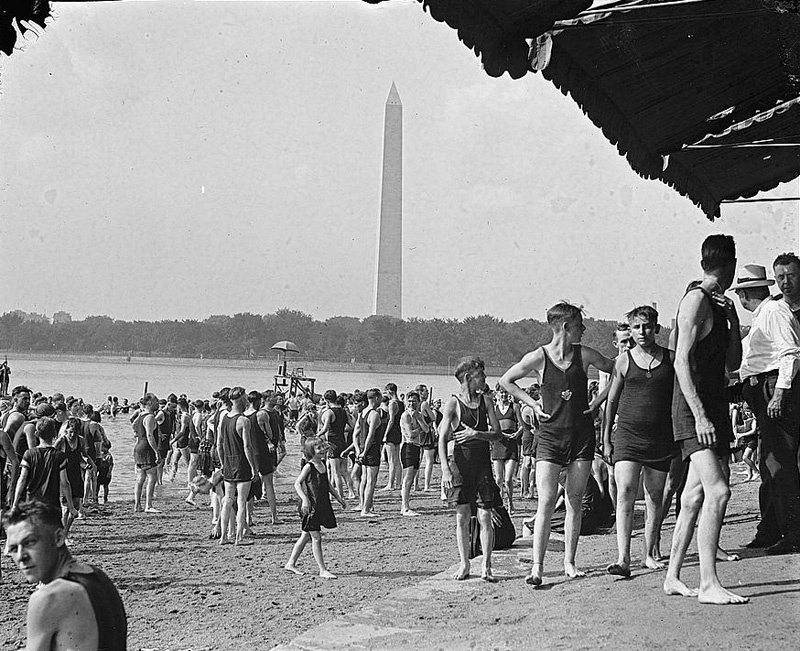 “White Bathing Beach,” Histories of the National Mall, accessed April 22, 2019, http://mallhistory.org/items/show/164. White residents of Washington enjoyed swimming in the Tidal Basin as early as the 1880s. In 1918, the district office of buildings and grounds added buildings to make the beach more enjoyable, like a cabana and diving platform. Like other recreational areas in DC, the part of the beach with buildings and diving structures was white-only. The Tidal Basin beaches closed in 1925. The white bathing beach was located on the southeastern side of the Tidal Basin, near the current location of the Jefferson Memorial.